RECENTLY RECEIVED A LIMITED SELECTION OF KAWAI GRAND, UPRIGHT AND DIGITAL PIANOS! The Incredible Spirio by Steinway! The new STEINWAY & SONS SPIRIO is the world’s finest high resolution player piano. SPIRIO enables you to enjoy performances by great pianists — played with such nuance, power and passion that it is utterly indistinguishable from a live performance. New in 2019 – introducing the Steinway Spirio |r. Watch the video to learn more! click above image for a virtual tour! 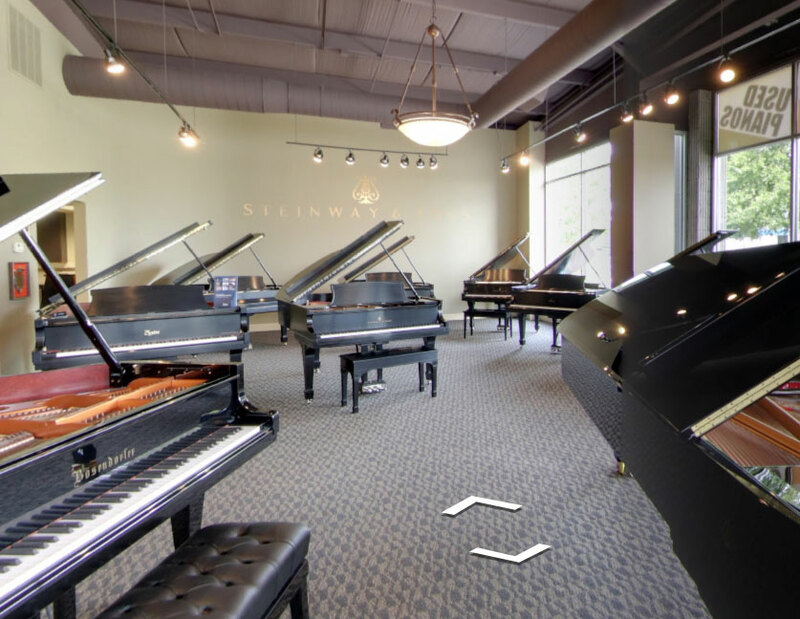 As area representatives of Steinway & Sons, West Michigan Piano is the destination location for shoppers from the entire West Michigan area. This includes Grand Rapids, Holland, Grand Haven, Muskegon, Kalamazoo, Lansing and beyond! Our selection of the finest pianos from the world over features Steinway, a true American success story. The Family of Steinway Designed Pianos includes Steinway, Boston and Essex. Other world renowned instruments represented include Kawai, Shigeru Kawai, Schimmel, Story & Clark and Piano Disc. With over 200 grand, upright and digital pianos in stock we are one of the most comprehensive sources of quality new and used pianos in the Midwest. It is a pleasure to write a review of West Michigan Piano Company of Grand Rapids. I have found the knowledgeable, professional retail sales staff to provide proper assistance and advice. The fine piano service personnel are experienced and well trained. Over many years, the piano moving staff has provided superb service in transporting unique instruments for me that require special knowledge, care and concern, always in a timely manner. I have recommended the firm to others and always had a most positive report on the various services provided by West Michigan Piano Company.